Below are three essential Re-imagining Migration resources from our Share My Lesson collection that we have aligned with learning goals present in the Common Core standards. The lessons and resources promote literacy skills, speaking and listening skills, writing and research skills. Share My Lesson is a free lesson sharing program, funded by the American Federation of Teachers, that reaches over a million students. You can learn more about Common Core Standards by exploring our Share My Lesson resource pages linked below. At Re-imagining Migration, we believe that there is a unique power in sharing experiences of migration with teachers, peers and community members. Our Moving Stories app strives to facilitate dialogue by guiding users to reflect on their shared experiences as well as their differences. Our fellows have been piloting the Moving Stories app this past year, and you can try it too. The Moving Stories Guide accompanies the app to create an educational experience both inside and outside the classroom. The guide articulates socio-emotional and academic goals to guide class lessons, and demonstrates how educators can set norms and expectations for participation in their learning spaces. It helps set up a class lesson for students to interview each other about their migration stories, and encourage them to draw connections between those to universal themes of migration experiences. It also highlights some key terms that are crucial to know as educators teach units on migration. View on Share My Lesson. The Bintel Brief was an advice column in the Yiddish language newspaper, the Forward. 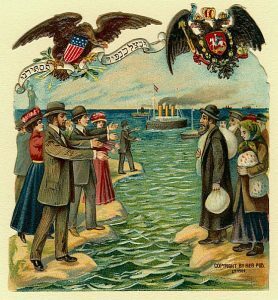 The column published letters from Jews writing about the experiences and challenges that come with migration. The letters tell the stories and dilemmas of newcomers and how they navigate their new lives in a new land. While these themes were focused on the Jewish experience, they exist across broader issues of integration, assimilation and acculturation. Our website and lesson activities provides teaching objectives, suggested guiding questions, a classroom video which you can use for historical context and teaching activities for the Bintel Brief. 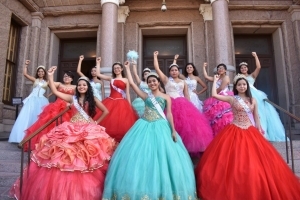 In July 2017, fifteen young Latina women wore their quinceañera dresses on the steps of the Texas Capitol to reaffirm their identities and protest their experiences as well as immigration law in Texas. Our lesson on this aims to foster civic knowledge, skills and attitudes by reflecting on this instance of youth-led civic action. To help guide discussions this with their classes, we encourage educators to explore the guiding questions, teaching activities, teaching objectives and learning outcomes present in our resource.